From 1998 to December 2001, the Central New York Regional Planning and Development Board (CNY RPDB) actively served as the Project Administrator in the development of a Cayuga Lake Watershed Management Plan. The goal of this three-year planning project was to develop a management plan for the more than 700-square-mile, six-county Cayuga Lake watershed. 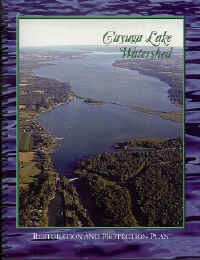 In 2000, the Board continued to foster program development and staff the project's Intermunicipal Organization (IO) — a group of representatives from watershed municipalities that serve as the local oversight group guiding the development of the Cayuga Lake Watershed Management Plan. The CNY RPDB also played a key role in the production of the Cayuga Lake Watershed Preliminary Characterization Report, which was completed in September 2000. This report defines the current state of water quality and land use in the watershed, and was used as the basis for identifying key watershed issues and developing the water quality protection and restoration recommendations that are now part of the watershed management plan. Throughout 2001, the Board assisted the IO in holding public meetings and developing final recommendations for the Cayuga Lake Watershed Management Plan. In September 2001, the release of the Cayuga Lake Watershed Restoration and Protection Plan (RPP) marked the successful completion of the CNY RPDB's involvement in the watershed planning project. The RPP recommends strategies for addressing current priority water quality issues in the Cayuga Lake watershed.